Q. How long will it take for my daughter to learn to swim? A. There is no absolute answer to this question. Every child is different and the rate at which they learn to swim will depend on how comfortable they are in the water. E.g. a child who is terrified of water flowing over their head at bath time will take longer to get used to putting their face in the water compared to the child who is happy with water flowing over their head. The child who is scared of the water will generally take longer to learn to swim. Learning to swim can be a long but worthwhile journey, and every child benefits from positivity and patience. Q. My son does not like getting water in his eyes. Can he wear goggles? A. At Shapland Swim Schools, we feel we have a duty of care to make sure your child can swim at least 12.5 meters without goggles. After all if your child needs to use their Personal Aquatic Survival Skills in an emergency situation it is highly unlikely they will be wearing goggles. Read more about the importance of swimming without goggles on our blog. There are always exceptions, so please contact your closest Shapland Swim School to discuss your child’s special needs. Q. What will my son need to wear to swimming lessons? A. A swimsuit, sun suit or whatever he/she feels comfortable going swimming in. For toddlers there are a number of options available, from tight fitting swim suits to swim nappies. Please contact your closest Shapland Swim School for their policy on toddler swimwear. Q. Can I book in for a block of swimming lessons? A. Shapland Swim Schools runs a seamless, year-round swimming program (i.e. not on a per term basis). Once you have secured a permanent spot, you come for your lesson at the same day and time each week. You never have to rebook. The only time you may have to change your time would be if your situation changed e.g. your child starts school or your work or family commitments change. Q. What happens if I miss a lesson because my daughter is sick or I can't make it to the lesson? If the swim school is using MySSS it is simple. Just log into your MySSS account and cancel the lesson for the day and then at some later time log into MySSS and book a make up lessons. Instructions on how to use our unique customer interface are sent to you with your first invoice. Cancel a lesson: You call the school on the morning of the lesson before the time specified in their make up lesson policy. You are then entitled to make up that lesson without incurring any extra cost. Book a make up lesson: You call the school on the day you can come for the lesson. If there is a spot available, you will be given a time to bring your child for their make up lesson. NOTE: Make up lessons cannot be used as a credit against the monthly fee. Q. How do I pay for the lessons? A. In general you can pay by cash, cheque, credit card, EFTPOS, direct debit or internet transfer. Some Shapland Swim Schools do not offer all of the above methods so you will need to contact your closest Shapland Swim School to find out which methods they prefer. Q. What qualifications will my son's teacher have and do they hold a Blue Card? A. All our teachers are required to hold industry recognised certificates (AUSTSWIM, Swim Ed etc.) as well as their Blue Card. Throughout the year, in-house workshops are conducted to help our teachers develop their skills. Q. If my son takes a long break from swimming lessons, will he go backwards? A. Being able to swim requires a certain level of skill and given that your child may only be exposed to that skill development once a week, any break from that skill development will – at best – halt their development. 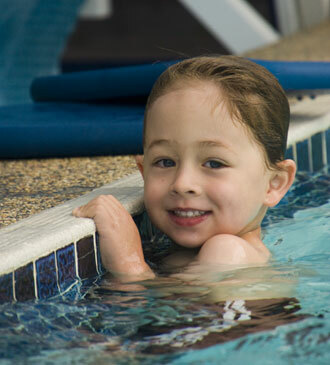 Children develop their aquatic skills at different rates. If that skill development is at a critical point, then an extended break may result in a regression. For example, if the child is starting to learn that the water will support their body weight, what they are actually learning is to trust the water and their teacher. Taking a break at that point could cause the child to lose that trust, resulting in a regression of their skills. Q. When should my child finish swimming lessons? A. Ideally your child should be able to swim at least 100m unassisted without goggles for them to be safer in a normal still water environment e.g. Slow flowing creeks, Dams, Lakes or swimming pools. Being able to swim at least 100m unassisted will also help them to be safer in water that is in motion e.g. the surf or a creek or river that is flowing freely (not fast flowing as in a heavy rain event) or a tidal estuary. Our program can take your child to this point and I recommend that you persevere with lesson until your child reaches this point. This should give your child the basic skills to be safer in such an environment and your child will then have the skills to move on to a Swimming Club Coaching program where they will be able to build up their endurance to the point where they can start to swim kilometers. Q. Why does my daughter not seem to be progressing? A. In most cases lack of progression can be explained by plateauing. We have a blog article available that explains in more detail why your child does not appear to be improving. Q. My son can swim well enough to get back to the side of the pool. Is this enough for him to be safe in the water? A. Given that no one is drown proof the answer is complicated. If your child was to fall into a domestic pool they may be able to swim back to the wall or steps however there are so many factors that influence how a child will react to a fall into the water. For example, water temperature, height of the coping (wall) above the water level and whether they hit the side of the pool during the fall can all alter the child’s reaction. Regardless of how well a child cam swim, it is always best to provide constant supervision by an adult who is within arm’s reach, while they are in the water. Q. I’m concerned that my daughter will develop a cold or flu if she goes swimming during the winter months. Is this correct? A. Given that a cold or flu is caused by viruses and are contractible by airborne particles, being in the water will not result in your child catching a cold or flu. Your child has a far better chance of catching a cold or flu in a shopping center especially if someone sneezes close to them. Please keep in mind that we have lots of children who continue swimming lessons throughout winter and our drop out rate for colds and flu does not seem to change. Q. Why do you only run 20 minutes lessons? A. When my parents opened the first purpose built Shapland Swim School at Clontarf on the Redcliffe Peninsular in 1973 we taught four to six pupils a class for 30 minutes. After a few months, we noticed the children seemed to lose focus after the 20 minute mark. We then reduced class time to 20 minutes and class numbers to a maximum of 3 students, and found a marked difference. Q. My son is getting frustrated at not being able to progress. A. Children, teachers and parents getting frustrated is a very common occurrence during the learn to swim journey. Swimming is a skill that requires your child deal with a very different environment to their every day gravity filled environment. How long did it take your child to simply be able to stand up? Compare that to being in a liquid environment where your child has to rely on the water to support their body weight, but also has to develop the skills of holding that water with their hands and feet. Learning how to deal with an aquatic environment takes time and unfortunately there are no shortcuts. Trying to learn how to hold on to a liquid can be very frustrating especially if a child is not relaxed in the water and confident the water will always hold them up. As a parent, you can help to minimise your child’s frustration with positive reinforcement at the end of every lesson. Q. I noticed your pools are not inside a building. Will my daughter get sunburnt? A. Our pools are enclosed and the roof sheeting over the pool is designed to block out UVA and UVB radiation. One way you can tell this roof sheeting is doing its work is by the color of our teachers’ skin. In most cases our teachers are relatively pale skinned and over the years I have had teachers complain they are not getting a tan. I tell them I am happy about that because it means they are being protected from harmful radiation while they work. Q. Is your program structured? A. All Shapland Swim Schools follow a set process called 2B5. The 2B represents Balance and Breath Control and the 5 represents the five basic skills a human needs to learn to be safer in the water. These five stages are taught in a specific order to enable your child to achieve the skills in the most beneficial format. In addition to this set program, Shapland Swim Schools also features consistent teacher contact. i.e. the same teacher remains with your child for longer periods of time, and progresses him/her through the fixed stages of our process. Q. What can I do at home to help my son learn how to swim? A. If you have a pool at home then simply let them play in the water and have fun. Of course you need to supervise them closely however please don’t try to put pressure on your child at home. They will experiment with the water and as their confidence builds, the skills they learn in their swimming lessons will start to take over. If you do not have a pool at home, the best thing you can do is get your child into having showers as soon as possible. Having your child become comfortable with the shower spraying water over their head and around their ears, eyes, nose and mouth will help them to feel comfortable when water gets in their eyes in the pool, and to control their breathing when the water goes over the nose and mouth. Q. Do you have salt water or chlorine pools? My daughter is allergic to chlorine and can only swim in a salt-water pool. A. Salt water pools do still contain a certain level of chlorine. In a salt water pool, numerous bags of salt are added until the water is saline (salty). During the filtration process the saline water is passed over an electrode and the chlorine content of salt (NaCl) is released as a gas. This is what sanitizes the water. Salt water pools are so easy to look after because the chlorine is produced automatically, and as a result you do not have to worry about adding chlorine daily. Six of our swim schools use the Magnapool salt water system: Buderim, Everton Park, Ipswich, Kallangur, Morayfield, Taigum, Stretton and Warner.